Check out Dynamite Canada Boxing Day sale! Now you can save up to 70% off everything, while quantities last! 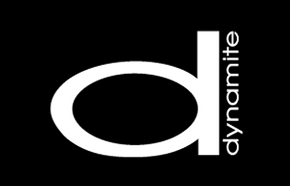 Click here to shop at Dynamite. Shop and enjoy the Pre-Boxing Day deals at Dynamite Canada. Today, and only today, selected dresses are $25 and tops are at $10. Not to mention, you can save up to 50% off on sale styles, including blazers & vest, jeans, accessories, footwear, and more. This offer is valid for a limited time only. Shine your way to the centre of attention with this Rosegold Pendant Necklace, on sale for only $8.00. You’re saving $4.95 from the original price of $12.95! 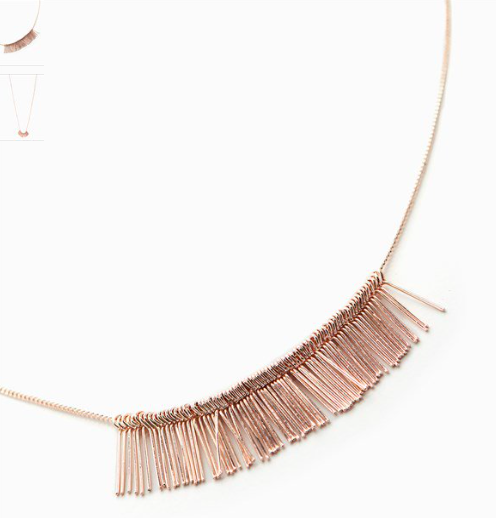 Shine your way to the centre of attention with this stunning rose gold necklace. Featuring stylish plate pendants and gorgeous length, this necklace is the perfect way to add interest to all your staple v-neck t-shirts and camis. Dynamite Canada offers FREE shipping when you spend $40 or more. Click here to start shopping at Dynamite Canada. Dynamite Canada is having a new deal every day until December 23rd. 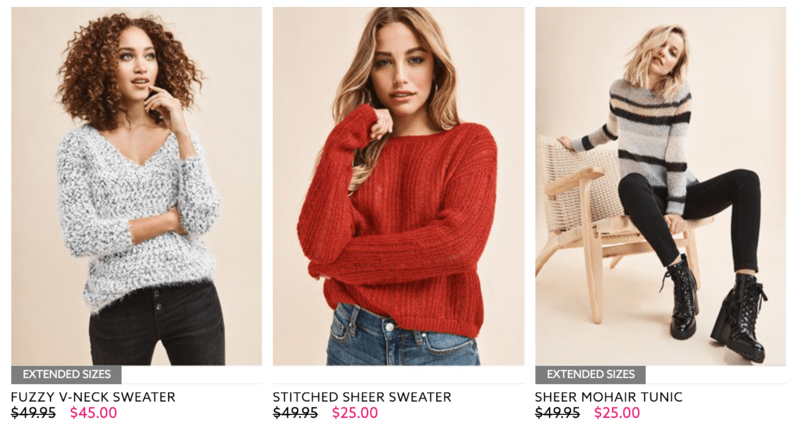 Today’s deal is: Buy 1 get 1 50% off sweaters and cardigans! This deal ends tonight, December 20 2017 and is valid on regular priced items only. Dynamite if currently offering free shipping on $40+. Click here to shop at Dynamite Canada.